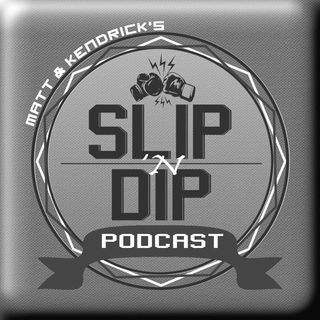 On this episode, Kendrick & Matt are joined by one of the best boxers in the world Jarrett Hurd, one of the best MMA trainers in Din Thomas, and an NFL superstar turned UFC heavyweight Greg Hardy. First up, Jarrett joins the show for the first time to discuss his upcoming fight against Julian Williams, why he still lives at home with his parents despite being a successful boxer, when he plans on getting that a-side spotlight, and more. Next, we talk with Din Thomas and Greg Hardy at the ... See More same time to hear both sides of the story from fighter and coach about Hardy's debut and how he has improved in preparation for his return to the Octagon. Hardy rarely opens up as he does here which makes for a fun conversation about his career trajectory.